if they had given 5 megapixel autofocus or led flash, no one will think twice before purchasing. may i know more about x8, the specs? pls reply. im planning to buy new one? Why did they take the CREATOUCH app in the update 2.1 ? is it available in the android market ? X8 upgrade available now to 2.1 ! Anonymous, 10 Dec 2010hi... 15 days back purchased X8... Initially found android bit confused... but now i love a... moreI so agree with you. I also have the X8 and I dont have ang regrets buying it. I am enjoying every moment that I use it. I'm also waitng for SE Anzu X12. Wish that the upgrade to 2.1 will be available soon for my phone though. I'm using my X8 now to as a reply to your post. 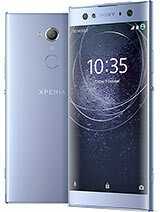 SE Xperia series rocks! but now i love android (with adw launcher). Till now no issue with the phone..
only that onscreen lock is irritating..
Any idea how to disable it,,didn't find any option for that. confused between x8 and galaxy3.. guys,can anyone tell me what all changes have taken place from 1.6 to 2.1..